1. Slingshot size: 7.8''L, 1.0''W. 2. Features 1 blue LED light. 3. Power: 3-AG3 batteries included and installed. 4. 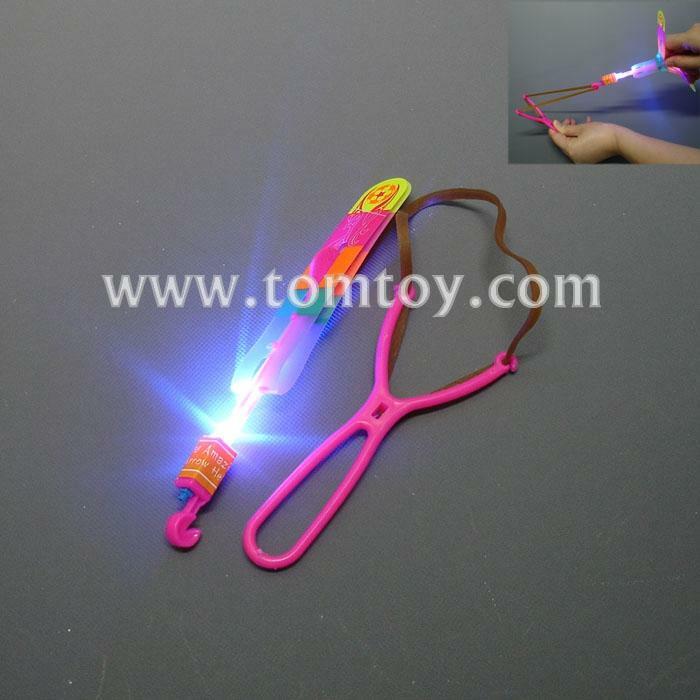 Light up the night as you switch on the blue LED and sling the Flyer into the air with the rubber band attachment! 5. This awesome flying toy is bound to impress both young children and adults. It is ideal for parties and gatherings and it will help you and your guests have the best of times.Especially at Night.